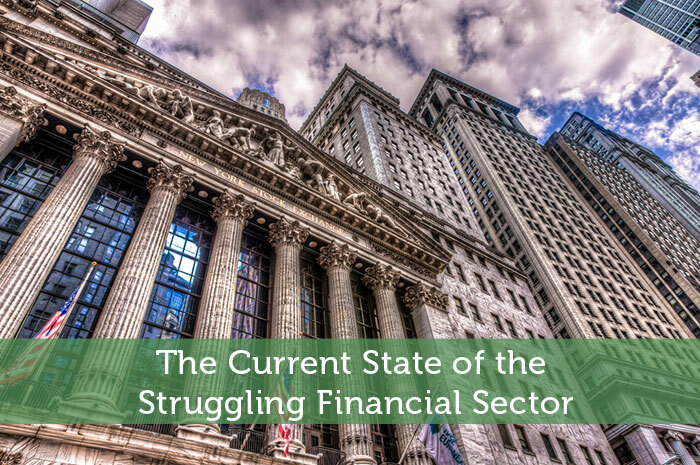 The financial sector in the U.S. has seen better days. Major bank stocks are down about 9.2% from a year ago according to Fidelity Investments. Capital markets have fared worse with a negative 19.3% return since this time last year. Part of the reason for the lackluster performance is because banks are being fined by regulators for white collar crime and they settling claims costs a lot of money which eats into the bank’s profits. Citigroup Inc. (NYSE:C), as one example, is expected to pay $23 million to resolve claims of conspiring to manipulate the benchmark yen Libor rate. Earlier this week on Monday, settlement papers were filed in the U.S. District Court in Manhattan. The agreement is currently awaiting court approval. Citigroup shares have fallen 21% year to date, which is a considerable amount for many of its investors. Another defendant in the concerned suit include JPMorgan Chase & Co. (NYSE:JPM.) This bank had already settled with the Securities and Exchange Commission in the past. Unfortunately limited earnings and high costs are still hurting the company and its share price is down about 12% since the end of last year. Bank of America (NYSE: BAC) have decreased by 21% year to date. It plunged 4% on Wednesday earlier this week before recovering slightly on Thursday. BAC shares usually only fluctuates one to two percentage in a given day. One large concern for investors in banks is the continuing low cost of oil around the world. Bank of America has exposure to large amounts of oil company loans and many people fear at least some of those loans will not be paid back. Citigroup, JPMorgan, and Bank of America represent the three largest banks in the United States measured by total assets. When the largest U.S. financial companies are facing a bear market many investors are looking elsewhere to place their confidence. But financial institutions in other countries are facing similar headwinds. On Thursday the international bank based in Switzerland, Credit Suisse Group (NYSE:CS) revealed some new information and disclosed to investors that it has lost $2.9 billion in 2015. The last time the company posted a loss was back in 2008 during the global financial crisis. The recent 2015 loss, which was larger than analysts expectations, was largely due to a move to the bank’s decision to shrink its investment bank operations, and instead put more emphasis on its wealth management business, namely in Asia and other emerging markets. But an economic slowdown in China according to CEO, Tidjane Thiam, could exacerbate the current problems in the markets. Following the news of the heavy losses the company stock plummeted spectacularly, falling around 11% in one day to a 24 year low. as a result, the bank, which also has large operations and New York and London, England says its committed to cut billions of dollars of spending by 2018. Unfortunately this means the elimination of jobs. Credit Suisse says it plans to shed 4,000 employees and contractors or about 10 percent of its entire workforce. Just a few days ago the bank agreed to pay over $80 million to the SEC in the state of New York to settle allegations that it mislead investors and allowed them to be subject to predatory trading behavior through the use of dark pool trading venues. Dark pools in the financial world provide pricing and cost advantages to institutional investors such as mutual funds and pension funds. However the draw back is their lack of transparency which makes them susceptible to conflicts of interest by their owners and predatory trading practices by high-frequent trading (HFT) firms. It has been a rough month for lenders all around the world. Lay offs and other cost cutting measures can only go so far but I feel there needs to be higher energy prices and a faster growing economy before financial stocks are to gain positive momentum again. Disclosure: This author is long 75 shares of JMP, and 150 shares of BAC, and does not hold any positions or plans to open positions in any other stock mentioned for at least 72 hours after publication of this article.